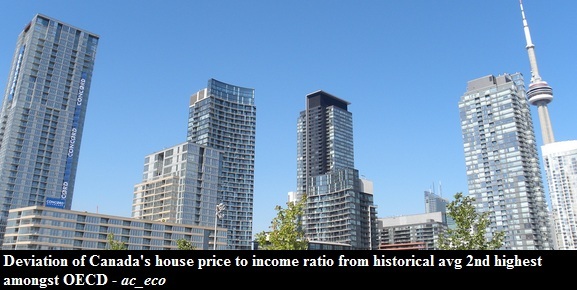 Canadian real estate is the most expensive in the OECD when compared to rents and the second most expensive when compared to household incomes. Are we running out of land? Hmm, Canada is the second largest country in the world and is one of the least densely populated. The scarcity of land argument just makes no sense. Even in Toronto we still have tons of land to build condos and the green belt policy had no significant effect on the real estate market. If you look at the charts below you can see that in other countries (Iceland, Finland, Norway) - which have the same freezing cold climate - real estate prices cost significantly less as compared to incomes and rents. So what's going on? How come Canadian real estate is so expensive when compared to other countries in the OECD? Simply put, housing prices in Canada are out of whack with reality - hence the bubble.